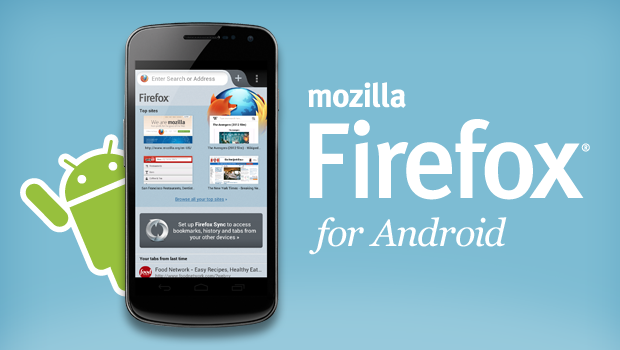 Mobile Firefox extensions can be pumped better than its desktop counterpart. In this article you will learn exactly which extensions can be useful to you. Increased functionality browsers using special extensions is now quite commonplace and no longer surprising. We each have a set of favorite extensions, without which it is simply impossible to do. However, not everyone knows that a similar approach can be used when surfing from mobile devices. Today we tell you about ten extensions to the mobile version of Firefox, which will make your online experience more convenient and efficient. Very simple but useful extension that adds the ability to simultaneous closure of all open tabs in a mobile version of Firefox. This extension allows you to reopen just closed tab. I am confident that this feature will save you a lot of time and nerves. This extension can help you out if you are using a mobile device in the street. It applies to an open page, high contrast theme that makes it easy to read under the brightest. Sometimes it happens that you click the link to the video on YouTube, or applications to Google Play, and it does not open in the native program, and right in the browser. To fix this problem, there is a special extension. It allows you to redirect the currently open in the browser page in the associated native application. The Firefox browser can be used not only for surfing the web, but also as a means of viewing local files. With it, we could open text documents, images, video and audio files. The only problem is that in a mobile version, unlike the normal, there is no possibility to open the local file. Therefore it is necessary installing a special extension that returns the item to the place of Open Local File. This is a simple tool to translate text in Firefox. Highlight the text you want to translate and press Translate. Supplement translates the text and displays it in a tooltip over the page. You can shut it down or copy the translated text to the clipboard. Coping with advertising on the Internet to help special extensions designed to block it. The most famous of these is Adblock Plus. However, this extension makes a pretty serious demands on system resources, so we recommend that you pay more attention to its lightweight counterpart. Despite all the efforts of designers, get a finger in the smaller controls are sometimes very uncomfortable. To avoid these difficulties, set special extension that helps you control the browser by using gestures. Now all the necessary operations you can perform with quick strokes across the screen mobile. Excessive consumption of memory – a problem many modern browsers. Of particular importance this flaw takes when using mobile devices. Therefore, I recommend to use the expansion of the Free Memory, already understands clean up memory, including automatically (when a certain value or scheduled). The design of some of the web pages is not too successfully combined with the small screen size of mobile devices, so to get a finger into links can be quite difficult.This expansion increases the size of the navigation links, which can be seen, for example, on the forum and in search results, so that you it was easy to move between pages.